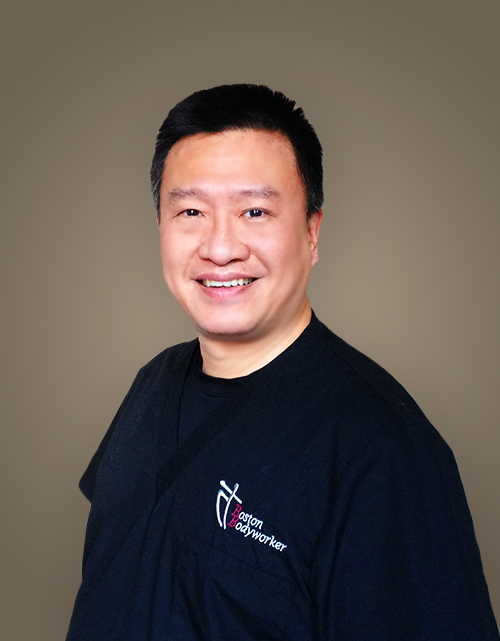 Edward Chao is a Licensed Massage Therapist and graduated from Cortiva Institute in 2014. Before that he studied five elements Acupuncture healing art 2004. Edward practiced pressure points to understand our human body’s healing power. In 2010, he realized he natural ability and started to use his fingers to activate the pressure points. It is a more effective way to enhance our body’s energy (Chi), patented as Acu-EnergyTouch. He also became a Reiki Master in 2014. Edward’s technique is a Myofascial style of deep massage, slow-deep-and-relaxing. He strongly follows the science that our body can be healed more efficiently in relaxed state. Although it may seem deep to the tissues, his touch is always soft and considerate to the response of the client’s body. Feel free to discuss with Edward and see how he can enhance your well-being.